click photo to enlarge Some friends of ours have redone their yard in a water wise manner. 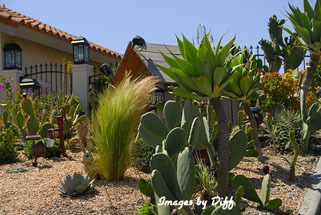 They took out all grass in the front yard and put in a water wise desert landscape. They have in-ground lines they can tap into for drip lines for plants that require water. 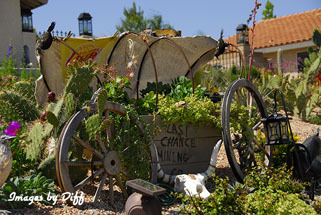 The yard has a theme of a miner going for gold who finds his demise in the desert at the Last Chance Mine. 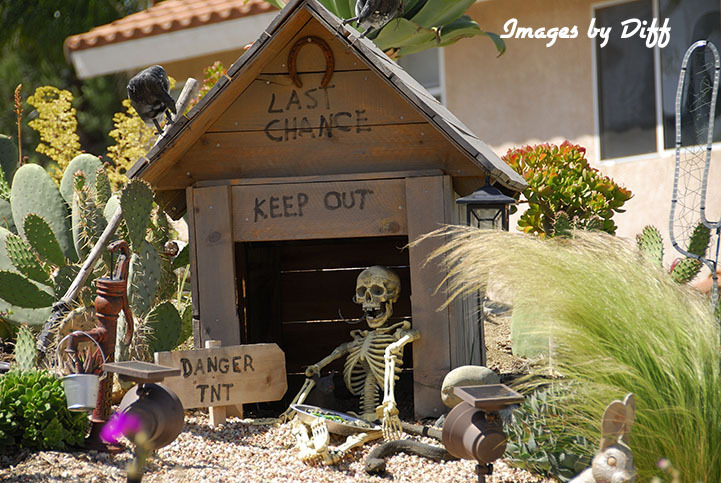 click photo to enlarge His remains are seen at the mine. The wooden structures were build by the owners and all plantings were done by the owners. She has a green thumb and seems to be able to grow just about anything and he is pretty creative in his talents building things for the yard. The have probably close to 100 solar powered lights highlighting different items and plants in the yard. 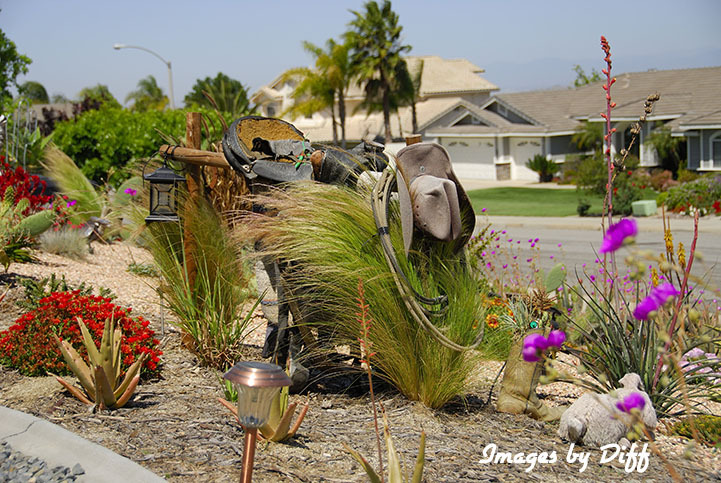 click photo to enlarge The watering system measures water in the yard and can control watering based on any moisture that falls. 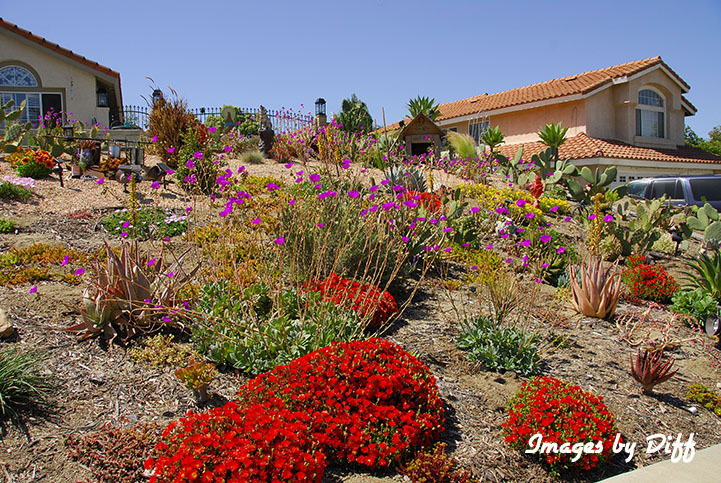 Part of this work qualified for rebates for installing water wise landscaping. This uses much less water then grass and never needs to be mowed. 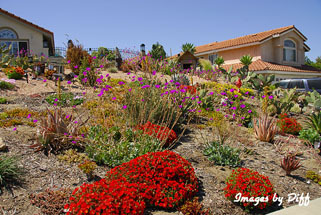 There is fabric under the landscaping to help keep weeds out so it is much less maintenance then grass also. A very green thing to do and we applaud the work and effort.